(L) Vintage T-shirt! 1989 Virginia Beach! Heather Gray w/ Beach Chairs & Umbrellas! Super Soft! Home > Men's Vintage Shirts > T-Shirts > (L) Vintage T-shirt! 1989 Virginia Beach! Heather Gray w/ Beach Chairs & Umbrellas! Super Soft! 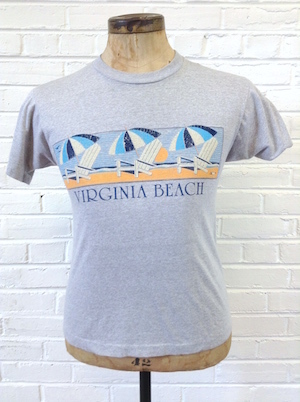 Men's vintage t-shirt. Sooooo soft. Its that heather grey that gets just the right kind of thin and soft! 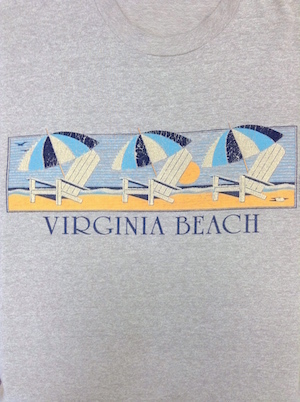 Virginia Beach travel shirt. Dated 1989 on the copyright. The print is starting to crackle and you can feel the texture. Gives it an extra cool look. Tag is white Screen Stars. 50/50.